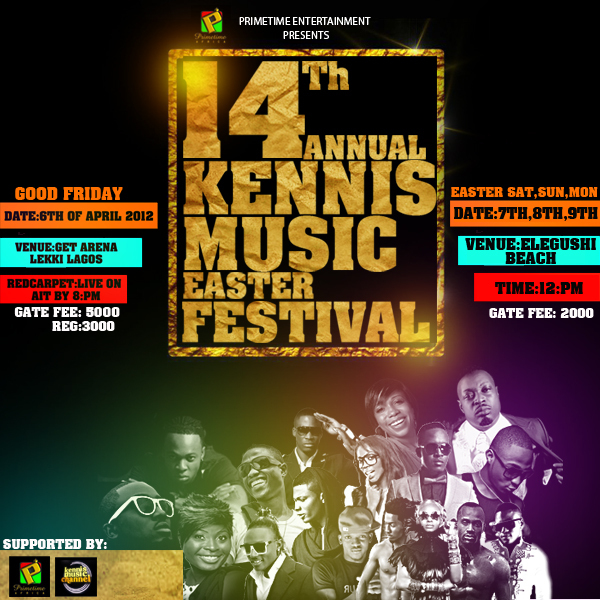 The 14th Kennis Music Fiesta will hold on Friday April 6th at GET ARENA. Time is 8pm. Gate fee : 3,000 naira and 5,000 naira. On April 7th, 8th and 9th the party will hold at Elegushi Beach. Time is 12 noon Gate fee is 2,000 naira only. 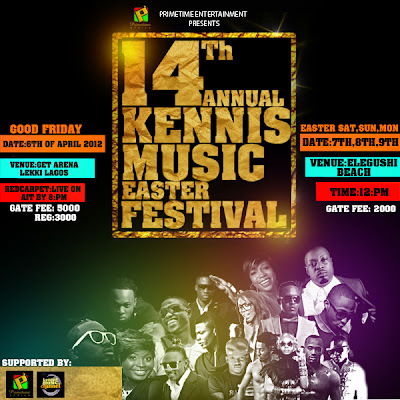 Top Nigerian Artistes, Comedians, DJs will perform at the Kennis Music Fiesta.